A beautifully presented, split-level maisonette with three double bedrooms, two bathrooms and a large, private roof terrace, located close to the amenities of Battersea Park and Clapham. Arranged over two floors, this stunning split-level flat offers boasts its own front door and offers over 900sqft of living space. 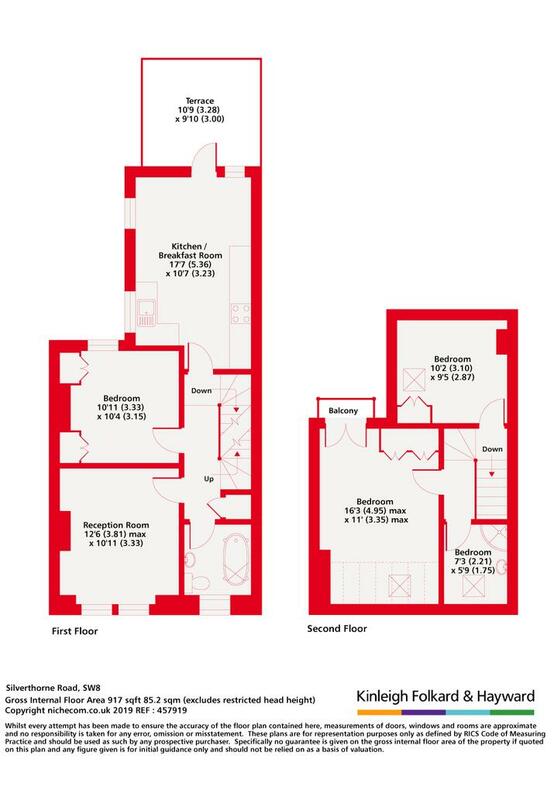 The first floor comprises a large, fully-integrated, eat-in kitchen with excellent storage, leading to a fabulous roof terrace beyond. There is a separate reception with wooden flooring, an ample double bedroom with fitted wardrobes and an attractive, family bathroom. The upper floor hosts a spacious master bedroom with a Juliette balcony, a further double bedroom with storage and a separate modern, shower room. 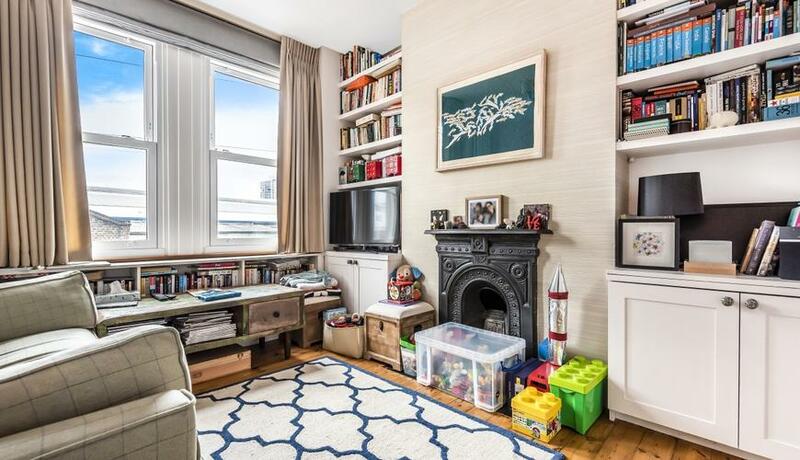 The property is flooded with natural light throughout and is conveniently located for access to Battersea Park station and the amenities of Clapham High Street.